Any exciting plans for 2019?! How about finally making that move abroad, retiring somewhere fab, getting your dreamy holiday home in the sun or investing for rental income! How lovely would it be to add one of these to your life in the new year?! Portugal has been consistently winning awards as an top international destination for tourism, quality of life, food, wine, golf... Many flock to the Algarve for sunshine alone, but it's also now a hotspot for investment! Curious, inspired or ready to learn more about this little corner of the world with so much to offer? Until 15th December! €99 for 3 days/2 nights or €149 for 4 days/3 nights. Get discounted viewing trips & speak to qualified property professionals! 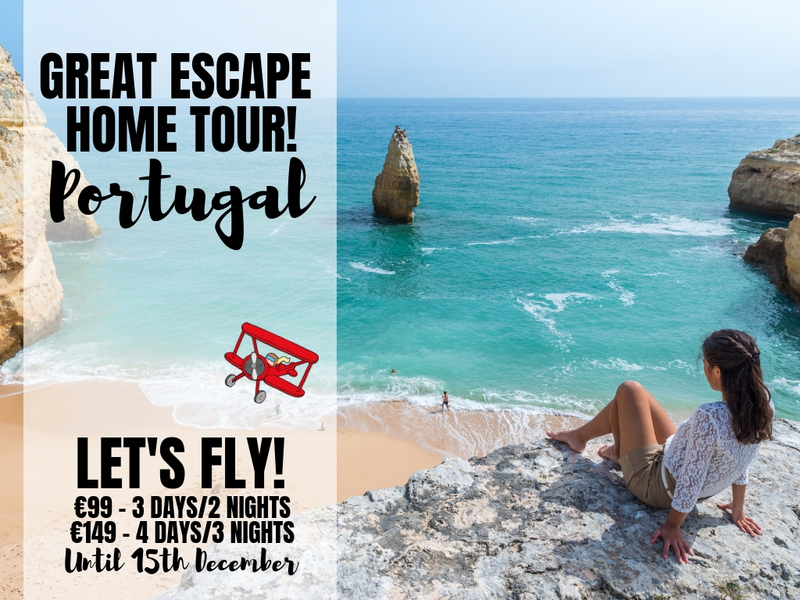 This is your chance to be on the ground to see and experience beautiful areas, properties and learn all about buying in Portugal from professionals who have done it themselves! You can also speak to independent consultants about taxes, currency, mortgages, property and rentals management and more. What are you waiting for!? Let's Fly! Lagos Beach Resort and Spa, a new project currently offering 279 studio apartments. 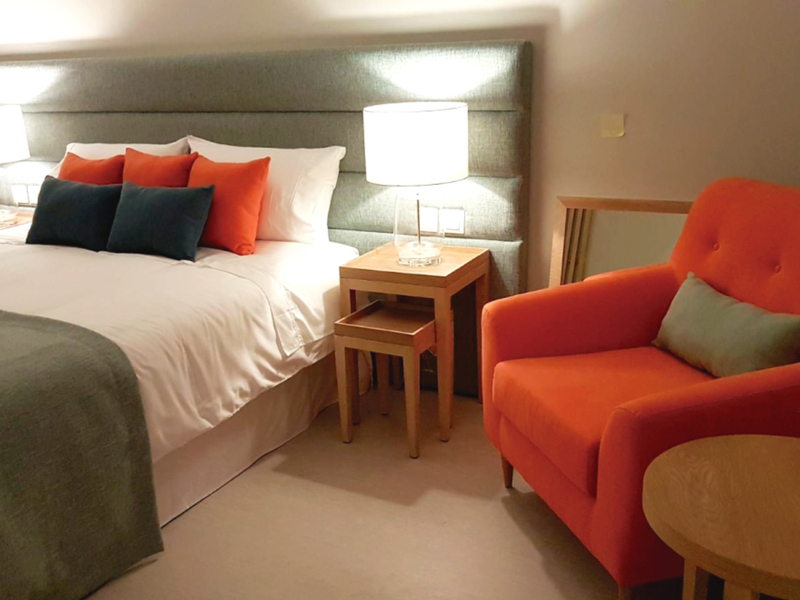 Fully furnished to a modern standard with a variety of colours complimenting each other. Features: AC, 49” TV, mini fridge, tea and coffee facilities with wonderful views. Buyers can expect a guaranteed return of 7% per year on purchase price. Lagos is popular among people of all ages from all corners of the world. Ground floor two bedroom | two bathroom apartment in Ferreiras. Fully fitted kitchen with high spec appliances and lots of counter space. Extras: fireplace, electric shutters, central vacuum system and underground parking. Short drive from Albufeira and is more of a residential town with a mixture of ex-pats. Prime location situated close to stunning beaches and local amenities. A new luxury condominium in the heart of Lagos centre close to all amenities. 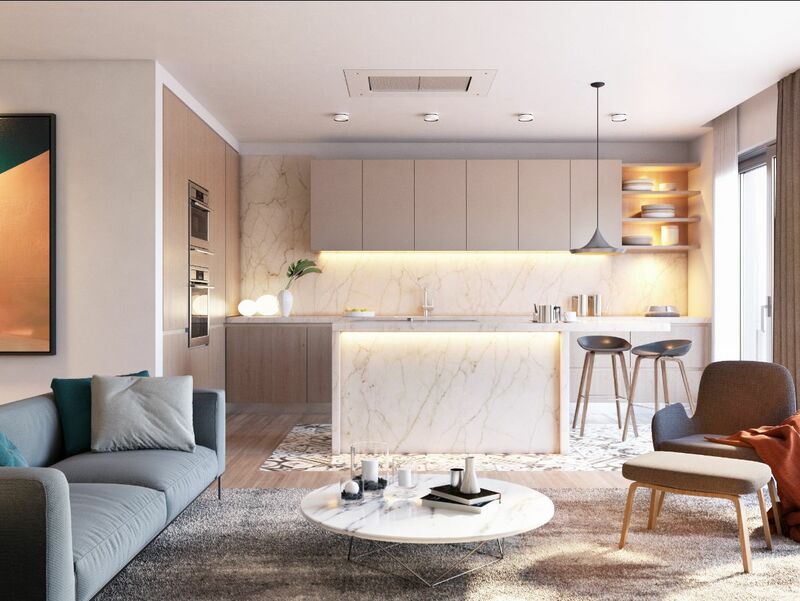 Modern two bedroom | two bathroom apartment with open plan spaces. Finished to a high spec, ensuring high energy efficiency and long-lasting quality. Fantastic for those who love to walk to shopping districts, landmarks and restaurants. Lagos is known for the iconic beaches and coves of Dona Ana and Praia do Camilo. 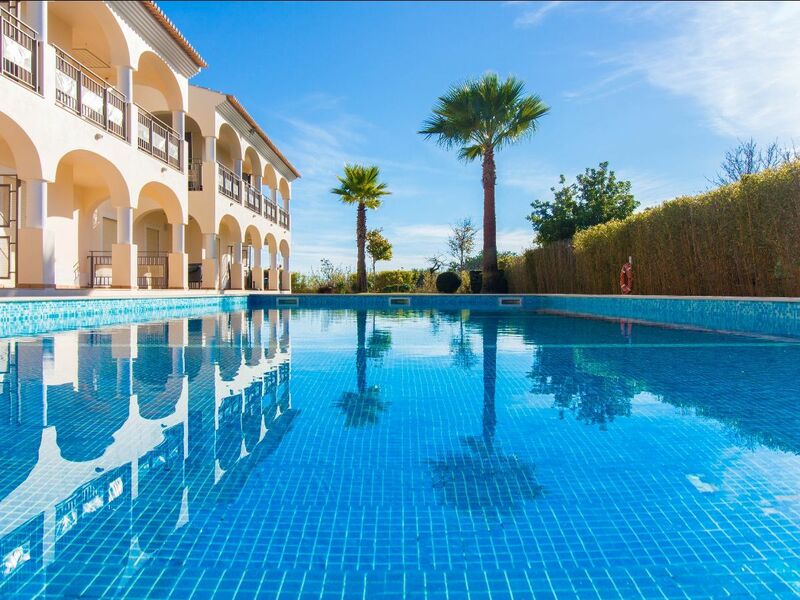 Modern three bedrooms | four bathrooms in a great location - Tavira. Designed with open spaces to allow sunlight to fill all rooms naturally. BBQ, pergola and Jacuzzi can be added to the property for an additional fee. Historic city of Tavira is close by adding more beach options to the area. 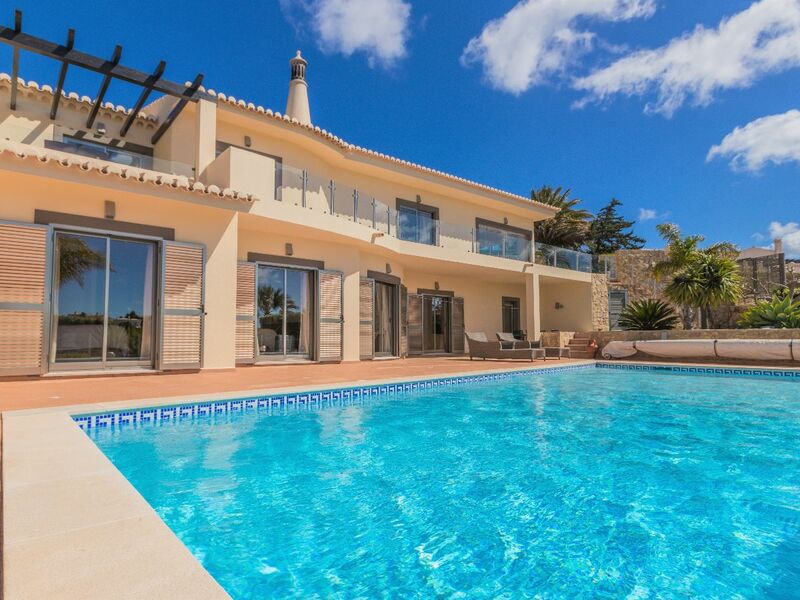 Four bedroom | four bathroom villa with a modern style used throughout. Renovated to a very high standard twice, and offers country, golf and sea views. Features: brushed aluminium shutters, AC, granite slab wall heaters and surround sound. Floors are reversed with the upper floor being on the lower and vice versa. A beautiful location with local amenities and gorgeous beaches all close by.